Ultralite 500- As Seen through Rose Tinted Spectacles! BBC presenter Diarmuid Gavin goes pink at Hampton Court Flower Show! A garden design student has used Ultralite 500, Ultraframe’s “roof in a box” that can achieve the lowest roof pitch attainable in a practical on-site situation, in an unusual way at this year’s Hampton Court Palace flower show. The garden design was a huge success and was awarded a silver medal from the Royal Horticultural Society. The garden, called ‘Looking at the World through Rose Tinted Spectacles’, attracted the expert eye of presenters Charlie Dimmock and Diarmuid Gavin and has also featured on BBC TV’s Gardeners World programme. As a result the garden features a massive ‘wall’ made from Ultralite 500 which encases the planting. The sheets were filled with a pink dye so that visitors to the stand could view the garden creation ‘in the pink’. Helen continued: “It was the skill and innovation of the Ultraframe team which made the Ultralite 500 wall possible. The team used glazed panels, which were ‘zipped’ together by aluminium “I” beams to create the feature. Ultralite 500, with its unique qualities, offers a cost effective, light weight product with excellent light transmission properties, so when pink dye, water and sunlight were added, the finished effect was spectacular and caught the eye of the BBC production team. 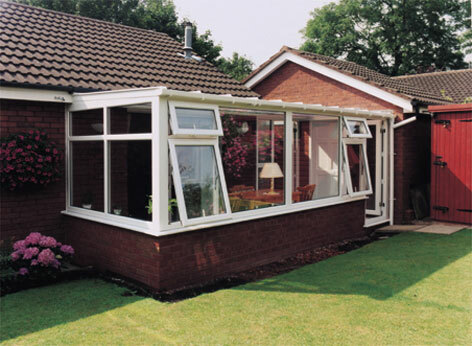 Visitors to the stand were also given a pair of pink tinted glasses to wear to view the garden and were offered the opportunity to obtain a free copy of the Ultraframe Essential Guide to Conservatories. 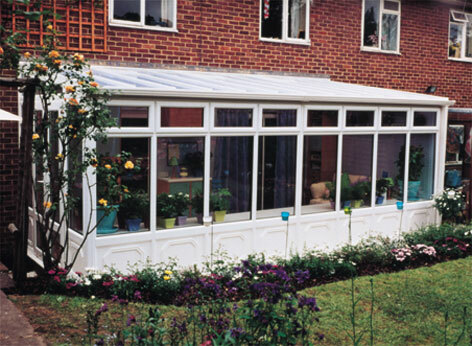 The Guide is the ultimate consumer ‘must have’ and ‘all your need to know’ guide to choosing a conservatory.